Saginaw Bay near Pinconning, ice anglers were heading out up to ¾ mile off Whites Beach, but the perch bite was slow. A few anglers ventured out from the trailer park near the mouth of the Saginaw River and were targeting 8 feet of water. 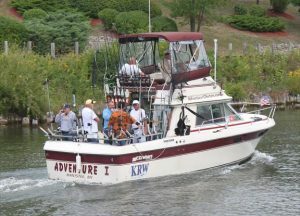 Those fishing in 4 feet of water off Finn Road caught nothing. At Quanicassee, those going out to 8 feet off Vanderbilt Park did manage to catch some perch ranging 8-10 inches in the morning. They were using Russian hooks and beads. 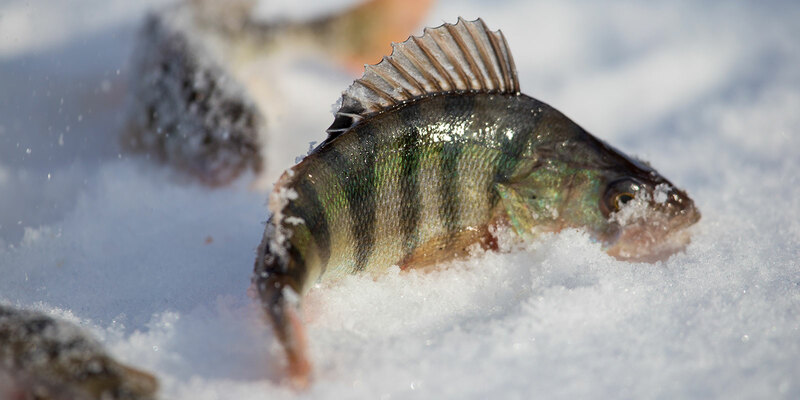 Some perch were also taken as shallow as 3 ½ – 4 feet. Try to avoid the murky river plume and you will find fish. Thomas Road had no one out as parking there is not good until the ice gets thick. 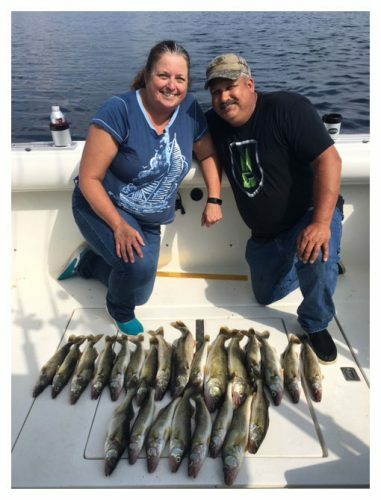 From Sebewaing to Bay Port, a few pike were speared, but perch fishing was slow. Caseville had some ice fishing activity but not much success. Saginaw River ice fishing started but just barely. 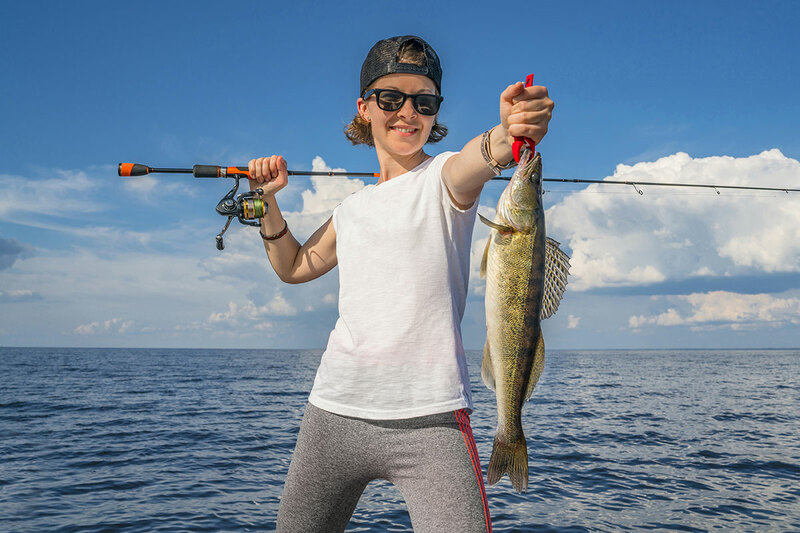 There was no activity at Wickes Park or Rust Avenue, but there were anglers out near Ojibway Island and they did get a few walleye when jigging fire-tiger or wonder bread rapalas tipped with minnows. 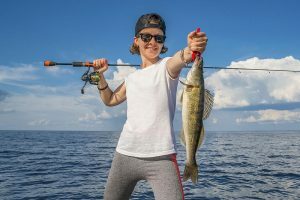 There was some fishing activity off First Street, at various locations along Crow Island and near Vet’s Park on M-13 however most anglers caught undersize fish. The ice through Bay City was still sketchy.A few tried near the U.S.S. Edson, but no reports came in. As mentioned earlier, there were a few anglers creeping out on the river mouth; however, people need to be very careful on that river ice! Some have started fishing in front of the Patterson Road launch ramp, but there again, that ice has been marginal and anglers need to use extreme caution. Au Gres Area quite a few anglers were fishing down off the mouth of the Pine River and Palmer Road. 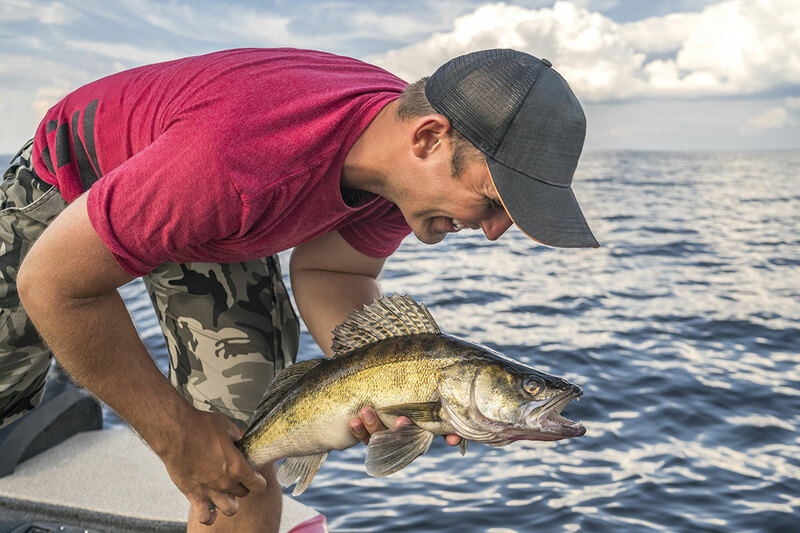 Most were fishing in about 8 ½ feet of water and getting some walleye in the evening, though the action was not red-hot as most were only getting two to three fish per trip. Perch fishing was slow to fair. Au Gres River ice anglers on the lower river caught a few walleye and pike. They are getting a mix of small and legal-size fish. Tawas Area ice anglers were out off Jerry’s Marina and fishing back in the “armpit.” Most were walking out to 15 to 20 feet. Catch rates have been slow, with only a couple walleye caught here and there. No good word on perch yet. Are you a bass angler? A standard technique you use may be perfect for catching steelhead in the winter. You might want to think about using lures that would normally be more difficult to reach when using standard steelhead fishing techniques. Choose medium-diving crankbaits and be sure to use braided line, which will aid in navigating obstacles under the water. 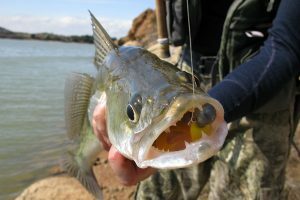 Cast across the current and retrieve just fast enough to get the lure under the water but not so fast that it will snag the bottom. During the retrieve, let the lure swing downstream. Another successful approach to try is to position yourself directly upstream of a deep hole and cast straight downstream. Retrieve the lure directly through the hole. Again, make sure to retrieve the lure fast enough to get in under the water but slow enough to keep it from snagging up on the bottom. Steelhead are one of Michigan’s most popular sport fish; don’t miss your opportunity to target them this winter!